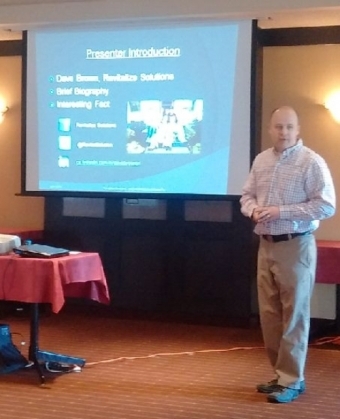 This morning the Niagara Falls Chamber of Commerce hosted a learning breakfast with Dave Brown of Revitalize Solutions as the guest speaker. The topic: Stop Working Like A House Fly. A house fly is always busy trying to get out of the house through the window. The fly can see outside through the window, and keeps itself busy trying to get through that window. At the end of the day, did the fly accomplish anything even though it was busy all day? Probably not, unless the window was opened for the fly. Determine the processes already in place by creating a flow chart, take a look at each process and eliminate those steps that are not necessary to reach your goal. The goal should be clear and well defined. When you look at a process in this manner, it is easier to see what may or may not be necessary, or a better method of completing the same process. It was a very interesting topic and well worth attending.